All of the above, each different channel counts as an entry. The giveaway will be open until February 2, 2011. We'll pick the winners by random drawing and announce them on Feb. 5, 2011. 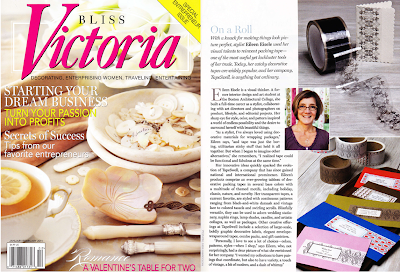 If you haven't picked up the special entrepreneur issue of Victoria Magazine you should. 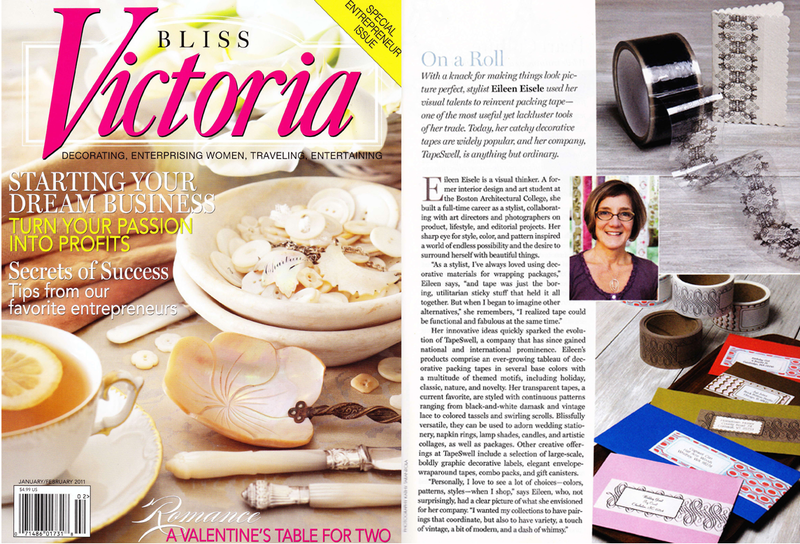 Our very own Eileen Eisele is featured among other successful women entrepreneurs in The Business of Bliss feature by Jeanne Delathouder. popular, and her company TapeSwell, is anything but ordinary...."
Clothing gifts are notoriously hard to pack, especially if you've ordered them online. 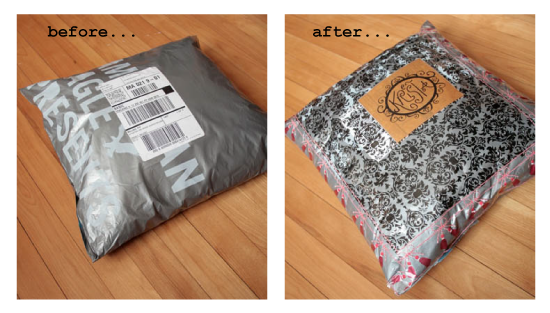 Here's an easy way to pack a soft shipment using Damask Packing Tape, Tassel Tape and Scroll Mailing Label. Till Next Time, Stick With Us!